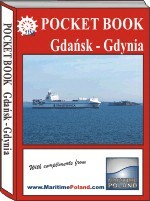 POLISH PORTS HANDBOOK Comprehensive, English language directory concerning Polish Ports and maritime enterprises. 432 pages, information on 1000 maritime enterprises, official services, institutions and associations. POLISH SHIPBUILDING & SHIPREPAIR INDUSTRY - Shipbuilding & Shiprepair Service Stations for Ships. 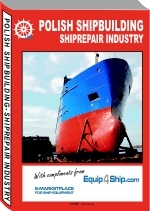 Comprehensive, English language directory concerning Polish shipbuilding & ship repair industry. Up-to-date, detailed information about Polish shipbuilding & repair yards, repair facilities, manufacturers and suppliers of ship equipment, etc. ; Concise statistics of Polish shipbuilding. Pocket Book is published in two volumes, one contains information regarding North-West Poland (Szczecin, Swinoujscie and Kolobrzeg), where as the other contains information concerning North-East and Central Poland (Gdansk, Gdynia, Warszawa). An already proven, tested and easy method of the index layout allows you quickly to find the required data concerning a particular firm you might be looking for: The small size - 10 cm x 14 cm - allows the handbook to fit into your pocket and to make use of it not only while at work in the office but also in ports, shipyards, etc.